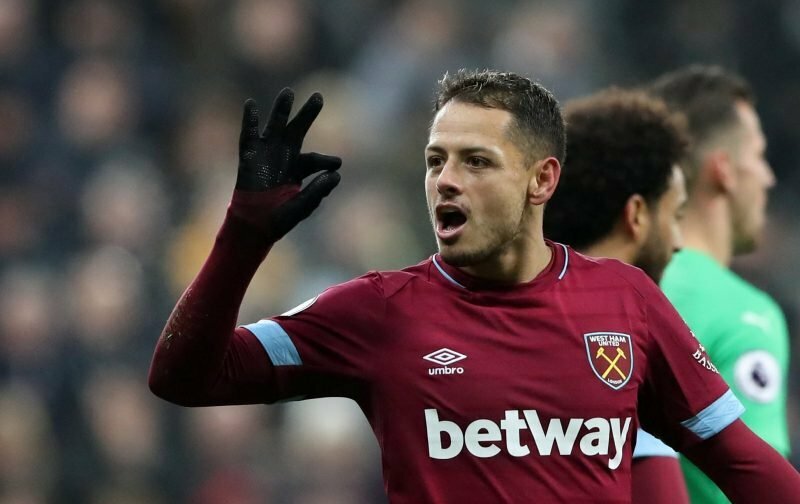 West Ham have made more than a few transfer mistakes over the last few years, and at times, Javier Hernandez has certainly looked like another example of that. The Mexican, despite having a fantastic record both in England and abroad, has struggled throughout much of his tenure in London, and though there have been some high points, it’s fair to say that most fans have been disappointed with him. Football.London have put together a list of 10 players that could leave West Ham this summer, and they’ve noted that Valencia are ‘expected’ to come back in for Hernandez this summer. That, then, could leave the Hammers with a big decision to make. Do they sell him? Or do they keep him, given how brilliant he was against Huddersfield over the weekend? He bagged two goals in the last 10 minutes to seal the win for West Ham – and that just goes to show how influential he can be on his day. However, in this case, West Ham need to see past performances like that and look at the wider picture. The simple fact of the matter is that Hernandez has not been good enough. One good game in five doesn’t work in the Premier League, especially when you’re tasked with being one of the main men going forward. He needs to be scoring practically every other week, and he hasn’t come close to that. His performance against Huddersfield was really his first Premier League display in 2019 that has impressed us – and that’s not good enough. And the fact of the matter is that at 30-years-old, he’s not going to improve at this stage. He’s only going to get worse – and now is the time for West Ham to cash in. If any interest does come their way, they must ensure Hernandez leaves the club as soon as possible.